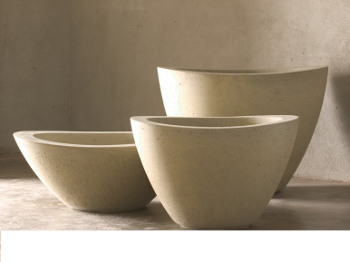 Tapered Concrete Firepit Bowls with curved rim. 17.5" tall 44" dia. 20" base 555 lb. 23" tall 36" dia. 16" base 515 lb. 32" tall 44" dia. 20" base 1020 lb.